This service includes a compatible Hosting plan to gain the best performance for your all-new website. 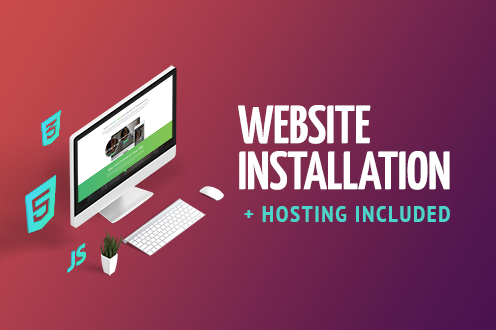 The installation will be completed within few hours by our specialists once the hosting plan has been claimed and access details to your account have been received. Bonus: You get SEO Audit Service (regular price $37) for FREE! Note: Installation Service is valid for one website and is done from scratch. The project starts once client provides complete details acceptable by production to avoid delays.